We are the GENERATION!... Jew and Gentile re-united and joined together as the "One New Man." In restoring the Jewish-ness to the Gospel we must focus on the following 3 points; 1. 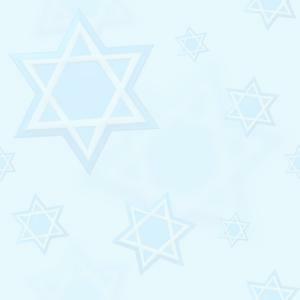 Christianity is Jewish; 2. Anti-Semitism is un-Christian and 3; Refusing to reach out to the Jews is Anti-Semitic. Why restore the Jewish-ness of the Gospel? Simply, in order to bless both the Church and the Jewish people. The Church needs to proclaim a Gospel with its Jewish-ness restored (Acts 20:27) to enable that the whole counsel of God can be proclaimed. Why? Because, without this both Jew and Gentile will suffer! The Bible clearly portrays Jews as a distinctive people. Even when a Jew is completed and becomes a part of the body of the Messiah, he still has a distinctive function. Each part of the body has a different part. Messianic Judaism is living proof that there is no essential difference between Christianity and the true Judaism of the Bible and God is using this to break down what the Bible refers to as the middle wall of partition between Jew and Gentile which has existed for so many centuries. If we are going to discuss the relationship of the Church to Israel, we have to start by going to the Old Testament and understanding the role of Israel in the plan of God. And we will do this by looking at three Biblical Covenants: the Abrahamic, Davidic and New Covenant. It is extremely important to understand these Covenants because of their scope. They outline God’s plan for all of human history. Blessing (12:2b, 3); in this passage it is expressly stated that Abram would not only be blessed (12:2), but that he would be a blessing to others and ultimately to the whole world (12:3). Notice that the aspect of universal blessing depends upon others’ response to him. 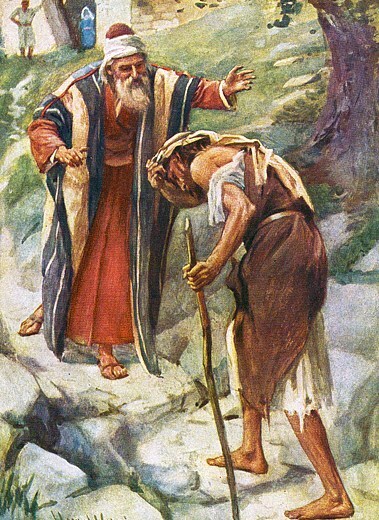 God says that He will bless those who bless Abram and curse those who curse him. We can begin to see here how God’s plan for the world, with its blessing of mankind, has its origin in His special dealings in and through Abraham based upon this covenant. You can see how this covenant is ultimately fulfilled in Christ. Those who curse Christ are cursed…. There is much unity in the Bible. It’s all tied together, and that’s what we hope you will see as we look at these covenants and their fulfilment. Thus the provisions of the Abrahamic Covenant are three: a land; a seed and blessing (personal, national and universal). Here we have the beginning of the nation of Israel because Abraham is the Father of the Jews, the father of Israel. And we begin to see that the seed of Abraham, the nation of Israel, is going to be the vehicle of God’s blessing on all mankind. It is important to understand this connection. In 2 Sam 7:8 God says, “I took you from the pasture, from following the sheep, that you should be ruler over My people Israel.” The term shepherd is important to understand because it pictures the king’s role as one who leads - guides and protects. This shepherd is developed throughout the rest of the Old Testament and Christ refers to Himself as the “Good Shepherd, when He comes,” John 19:11, 14. This echoes the Abrahamic Covenant. God promised Abraham a great name. David’s name would be great because of his kingship and family line that would descend from him. The New Covenant is an extension of the promises made to Abraham and David. And we can see that Israel plays a key role in the realization of these promises. It says the covenant is made with Israel and Judah, which indicates that the nation will be reunited. Old Covenant: Placed upon stone; based on the law; must be taught; legal relationship with God. New Covenant: Placed upon peoples hearts; based on the desire to love and serve God; known by all and personal relationship with God. We see from the Old Testament, the part that Israel played in God’s plan. They were chosen by God to be His special people. God made many promises to bless Israel as a nation and to use them as a vehicle to bless the world. Those promises were given in three covenants: the Abrahamic, the Davidic, and the New Covenant. The Abrahamic is the main covenant, promising Abraham a land, seed and blessing. The Davidic expanded on the seed aspect by promising that David’s heir would sit on the throne forever. The New Covenant expanded on the blessing aspect speaking of a time when there would be forgiveness of sins, a special relationship with God, etc. Along came Yeshua (Jesus) the promised Messiah, and the Jews as a nation reject him. But many Gentiles and a few Jews do believe, and the Church is born. Some questions come up: What is the Church’s role in these promises of God? Does the Church replace Israel as the people of God? What happens to Israel? Are all the promises given in the covenants fulfilled or are we still waiting for them to be fulfilled? The meaning of "Church" ~ "Ecclesia"
Haven’t we taken the word “church” and given it a religious meaning which is greater than its original usage? It may come as a surprise to some that Yeshua (Jesus) the head of the Church was a Jew. Not only was He a Jew, but His Disciples were all Jewish. They were all born as Jews and they lived as Jews. They worshipped regularly at their synagogues and at the Jewish Temple in Jerusalem (Luke 4:16; Acts 2:46). The early church was a Jewish church, with a Jewish constituency and Jewish leaders. Let us consider some evidences of these facts. We know from scripture that Jesus’ followers kept the Sabbath and Jewish festivals (Acts 13:13-15; 17:2). Although the Apostle Paul was the disciple to the Gentiles, he was still thoroughly Jewish. He once hurried from Gentile lands to Jerusalem that he might arrive in time to keep the Jewish festival of Pentecost (Acts 20:16). When he arrived in Jerusalem he underwent a Jewish ceremony of purification in the company of other Jews who had made vows to God (Acts 21:26). It is evident that the earliest Christians showed deep respect toward the requirements of the Jewish law (Acts 21:20). The Church in Jerusalem continued as a Jewish Church for several generations. The historian, Eusebius, reports that the first fifteen bishops of Jerusalem, until the time of Hadrian (AD 135), were all Hebrews. After the fifteenth bishop, Narcissus, we finally hear of Marcus, who is listed by Eusebius as being the first Gentile bishop of Jerusalem. He also reports that the whole church consisted of Hebrews. The Church was so thoroughly Jewish from its earliest days that it greatly struggled with the problem of Gentiles. In Matthew 10:5 - 6 and we see this tension reflected even in the ministry of Yeshua (Jesus) and his disciples. Peter had an experience with Gentiles in relation to the centurion, Cornelius (Acts 10:1- 11:18). The angel of God appeared to the devout Cornelius in Caesarea, and requested that he send for Peter. While Peter was in Joppa he himself had a vision, and in the vision God showed him many unclean animals and requested that he kill and eat of them. In the vision the Lord spoke to Peter that he should not call anything unclean that God had made clean (Acts. 10:15). Peter then had to relate his whole experience to the leaders. After they heard it, they all agreed that God had indeed granted repentance to the Gentiles. We remember from Acts how Peter heeded the vision and went to visit with the Gentile Cornelius and his friends. As he began to preach the Holy Spirit fell upon them all just as he had fallen on the Jews at Pentecost. Paul who was called as an apostle to the Gentiles (Rom. 11:13) found it necessary to defend his ministry before the leaders in Jerusalem. This great confrontation concerning Gentiles resulted in what is called the Council of Jerusalem and is mentioned in Acts 15:1-35 and in Galatians 2:1-10. Peter was able to speak up on behalf of the Gentiles. After him, James, the leader of the church, gave his opinion that they should not make it difficult for Gentiles coming to the faith (Acts 15:19). We see that up until this time the Church in Jerusalem was very Jewish. This situation continued on throughout the first century and well into the second century. Gruber remarks about this saying: "In the first century, the most heated, controversial, doctrinal issue of all that the Church faced was: ‘How do the Gentiles fit into all this?’... Today the most heated, controversial, doctrinal issue that the Church faces is: ‘How do the Jews fit into all this?’"
It is clear even in the early days of the Gentile Church that it was closely connected to the Jewish Church in Jerusalem. Paul apparently patterned the Gentile churches after those in Judea (1 Thessalonians 2:14). He taught Gentile churches of their great debt to the people of Israel. He even insisted that because of this great debt, the Gentile churches should take an offering for believers in Israel (Romans. 15: 25 - 27; Acts 11: 27 – 30; 1 Corinthians 16: 1 - 3). It is a surprising fact of Church history that the first general offering mentioned in the New Testament is an offering taken among the Gentiles on behalf of Jews in Israel. It is also surprising that the bulk of stewardship teaching of the New Testament is based upon this offering for Israel. Today, shouldn’t this concept be taken up by the Church and follow the biblical and blessed pattern of taking up offerings for Israel? The real problems began to develop somewhere around AD 66-70, with the Jewish revolt against Rome. At this time the Christians in Jerusalem fled to Pella in Perea. Pella was located in the present Jordanian foothills, about 60 miles northeast of Jerusalem. The Christians probably fled Jerusalem because of the specific instructions of Yeshua (Jesus) Luke 21:20-22. Although some from Jerusalem seem to have returned after the war, we can understand how believers from this point on, must have been regarded as traitors to the Jewish cause. In AD 70, Jerusalem was conquered and the Temple was destroyed by the Roman general, Titus and this brought a dramatic change to the Jewish situation as well. The final parting of “The Way” came with the revolt against Rome in AD 132-135. After Rome’s second conquest of the Jews the Emperor Hadrian renamed the City of Jerusalem Aelia Capitolina. On the Temple Mount he constructed a temple to Jupiter and forbade Jews to enter Jerusalem and many of the surviving Jewish leaders went into hiding. We can understand how contacts between Jews and “The Way” would become much more difficult after all this. We can clearly trace the events within Judaism that separated Jews and Christians. However, there were also events and movements within Christianity itself that contributed to the separation and even widened it. There was an early and continuing debate over the proper date for the celebration of Easter. In early days Easter was celebrated along with the Jewish Passover, but in time the Church began to grow uneasy with this Jewish connection. The problem flared up in AD 167 in Laodicea and later in AD 190, with several churches and at the Council of Nicea the problem was settled once for all and a permanent separation was made with the Jews and their Passover. With the supposed conversion of the Roman Emperor Constantine (who established Christianity as the universal religion) got involved in church matters. The nature of Christianity began to undergo a rapid and radical transformation. In the year AD 325, the Council of Nicea was called together by the new Emperor. The anti-Israel spirit of this meeting can be seen in some of the statements of the council: "Let us then have nothing in common with the most hostile rabble of the Jews....! He referred to the Jews as “polluted wretches,” whose hands were “stained … with a nefarious crime,” “parricides and murders of our Lord.” In a letter to the churches concerning the correct time to observe Easter, he wrote, “it becomes us to have nothing in common with the perfidious Jews.” The opinion of the Council of Nicea was not to be taken lightly. Now the Church had behind it the full power of the Roman Empire. From this point on the sword of the Empire and not the Sword of the Spirit would determine church doctrine and practice. There is no doubt that the Council of Nicea was an important turning point in the history of the Church. Israel was cast aside and the Church officially became the "new Israel." It was no longer truly biblically-based. So~~~ where did we as a Church go wrong? The Anti-Semitic spirit in the church existed… and the church no longer viewed salvation as being “to the Jew first” as Romans 1:16 says. The church viewed them- selves as being the new Israel. There was probably no writer who did any more damage to the Jewish roots of Christianity than that of Origen (185?-254? ), the early church father from Alexandria. As Martin Luther said, since the Jews rejected Christ, the only thing left to them are the curses found in the Bible, but none of the blessings. Therefore all the promises about Israel being re-gathered, restored, and delivered from her enemies in a coming Kingdom Age are to be for the Church. But Martin Luther forgot about the everlasting COVENANT between God and Israel. It is most unfortunate, that after all the sufferings the Jews have experienced - much of it at the hands of the Roman Church - that it took the Vatican so long to finally recognize Israel as a nation. Yes, we must never forget that the Jewish people still need a Messiah, as we do. We love the Jews, we bless them, we try to protect them but Yeshua is their Messiah too and we must always remember the fact that NO Jew or GENTILE can come to God, except through Yeshua, as He is “the Way”, the Truth and the Life (John 14:6). The Mystery of God’s plan – we are the generation! In the Gospel of Luke, Yeshua (Jesus) tells the story of the prodigal son, in which the younger leaves home goes into a foreign country and squanders his inheritance. (Luke 15:11 – 31) The Gentile church is this story in reverse. The younger brother, the Gentiles, stayed with the Father. As far as they were concerned, the firstborn was disowned and now to be regarded as an enemy. The son who remained at home assumed he had supplanted the missing brother in all matters, including the place of intimate fellowship with the Father. Israel and the Church are at present deeply divided. But the two are destined to be restored as one single elect and chosen people. Moses (Exodus 19:6) and the Apostle Peter (1 Peter 2: 9) both spoke of this – They are to become a Kingdom of Priests and a Holy nation!